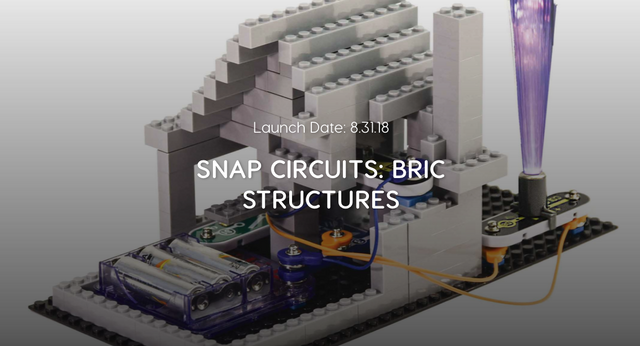 Hii @biuiam you created a unique hunt as "Snap Circuits: Bric Structures" which is very creative and attractive for our children. I think kids enjoy this toy and love to play. Actually this product is very useful for the kids. It is very easy for children to learn from this fun. This product is very attractive for children. Children can achieve better skills. 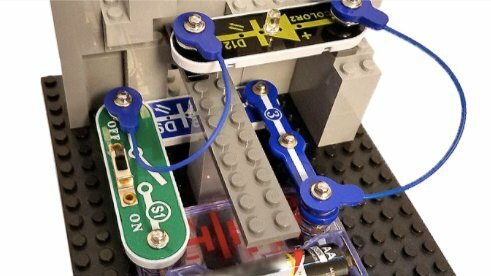 It is interesting to have a toy like a lego but with electrical circuits. I would like to experience it. Great hunt. good educational toys for my kid, i would like to get one of them, thank you very much for your hunt, steem on!! I like this learn by doing approach to STEM. The Lego bricks are also a huge draw for me cause I'm a Lego fan. Kids today are really lucky to be able to play with toys like these. @biuiam, could you please insert at least one video about this product?, i am sure the reader will be interesting to this one while watching the video. Scroll down in the website, and you will find the video. I decided to give some support, it's cool enough for my kids. A great concept for kids. Easy to learn with fun and it can improves creativity too. Nice one! It looks really amazing! I really want to have one for my cousins! Awesome hunt ! Thanks for your work. Good job and great hunt! Looking forward to see more great hunt from you! This innovative circuit toy is useful in educating kiddos, playing while learning to assemble installations too, good hunting, educating. Creativity is a God gifted thing. But this one is really a great stuff for your kids. kids can enjoy this STEM toy with family or have them challenge their friends, it is voted for a lot of awards as top toys for kids. This toy can enhance creativity of the children and its so much fun to create structures with it. I loved play with building blocks when I was a child. They can really enhance a child's ability and creativity.